Away for nearly 3 months, I am now nicely settled. Home again. Back to the old grind. The same routine. The same food trip! 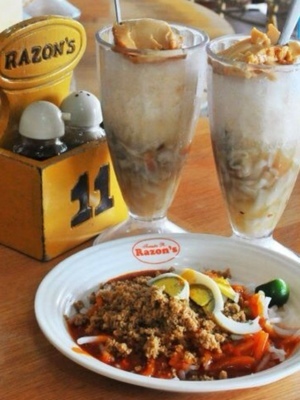 Then there’s the trip to Razon’s for my halo halo fix and….. yes, the pancit palabok. Again, with generous dollops of Chicharon bits. I’m not sure if it’s really the pancit or the Chicharon that got me hooked. 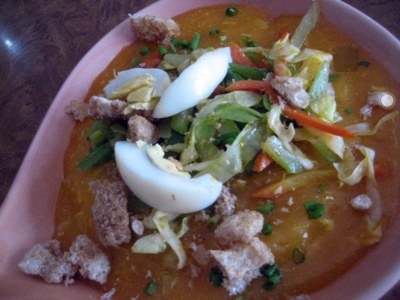 But really, any version of the pancit does it for moí! Back home, Manang Trining’s pancit is what everyone in the family comes home to after being away. For sure, this pancit stirs up many fond memories as every occasion is celebrated with this dish taking the middle spot on the dining table. The Chicharon is a side serving — like it’s “optional” yet I have yet to see someone foregoing that option when feasting on Manang Trining’s pancit. 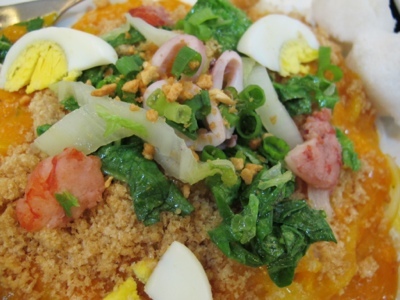 The Chicharon never misses making an appearance when it’s the Pancit Luglug or Pancit Malabon version. Some crushed, some in bigger chunks. 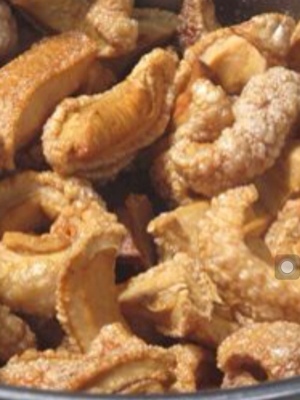 Some plain Chicharon cracklings, others with a sliver of pork attached to the fatty stuff. Which brings us back to the question. Is it the Chicharon? 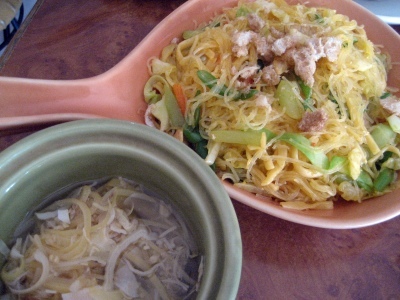 Or the pancit? 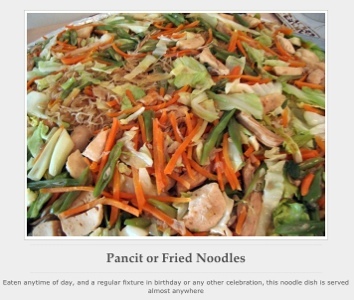 All the pancit versions shown in your blog appear inviting and beg to be tried. Do you have a recipe somewhere for me to try? Maraming salamat.